As the UN Special Rapporteur on Freedom of Expression David Kaye ends his official visit to Japan, ARTICLE 19 urges the government of Japan to commit to respecting the editorial independence of media houses and the freedom of journalists. Recent reports of increasing political pressure on the freedom of the media raise serious concerns that the government may be trying to prevent journalists from fulfilling their role as watchdogs of democracy. Journalists and media houses must remain free to search for information and to report on the news in the manner and tone of their choosing, without being subject to threats. 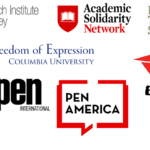 The freedom and editorial independence of journalists and media houses constitutes a cornerstone of the open public space which allows citizens to receive information, as is their right under international law, and to discuss all matters of public concern, including the policy options adopted by the people in power. The Minister of Internal Affairs and Communications, Sanae Takaichi, has made statements that undermine media freedom. In February 2016, when she was asked in Parliament whether the government would order the suspension of the operation of a broadcaster that showed reports critical of its decisions, the Minister said that the possibility could not be excluded. She referred to Article 4 of the Broadcast Law, a provision on the duty of political impartiality for broadcasters which lawyers consider to be a rule of professional ethics that media houses should apply autonomously.3 The statement of the Minister sounded like a clear warning to the media that the government would not tolerate much criticism. 2014 saw the entry into force of the Act on the Protection of Specially Designated Secrets,4 which creates a severe chilling effect on whistleblowing and journalism. In addition, a proposed revision of the Constitution includes a provision that would allow for the restriction of freedom of expression that is “harmful to the public interest”: such a vague, wide-open legal basis could easily be turned into a censorship mechanism. 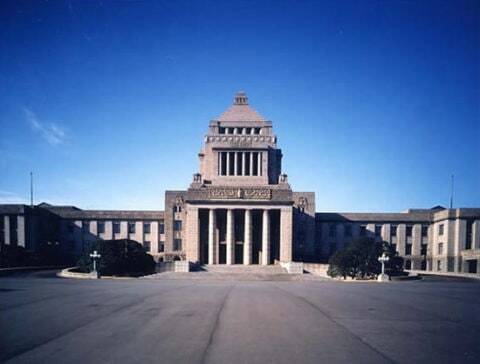 The departure of well-known news presenters and the statement of Minister Takaichi – which she later reiterated – add to a climate of increasing political pressure that undermines the capacity of the media to contribute to a free and open discussion of public affairs. Previously, the government had been accused of increasing its influence over public service broadcasters by appointing close allies to the board of NHK. Momii, the new president of NHK and a close ally of the ruling party, declared in January 2014 that public service broadcasters should not “deviate much from the government’s position in their programming.” Another indication of the deteriorating climate for media freedom was signalled by members of the conservative party, when they led advertising campaigns to accuse the station TBS of violating the broadcasters’ legal duty of impartiality. It its revealing that in Reporters Without Borders’ press freedom rankings, Japan has slipped from the 11th position in 2010 to the 61st position in 2015. ARTICLE 19 insists that international law on freedom of expression protects the freedom of journalism to search for information and to report on all matters of public interest. In addition to the right of the media to communicate information and ideas, freedom of expression also safeguards the right of the public to receive reports on news and debates: an informed citizenry depends upon the existence of free and independent media. In order to be able to fulfil their role as watchdogs of democratic society, journalists must be free to investigate and to communicate in the manner and tone of their choosing, and also be assured the liberty to criticize political powers. Elected officials and people generally who exercise significant power in society should be ready to tolerate criticism from the media. It is the role and the professional duty of journalists to act as inquisitive, critical voices that raise questions on delicate political matters, no matter whether this disturbs the tranquillity of the power-holders, and to publicise reports that shed light on governmental action: it is indeed their contribution to a functioning democracy. ARTICLE 19 insists that under international law, it is the role of the State to create an enabling environment for media freedom and independence. States should not only abstain from imposing restrictions on freedom of the media: they also have a positive obligation to ensure that the media landscape is pluralistic and open to the diversity of voices that are present in the population. A public service media is a component of the media landscape that can offer a range of public-interest programmes that the commercial sector would not be able to produce for lack of financial return. It is a requirement of international standards on freedom of expression that public service broadcasters should be independent from the government. Public funding cannot justify any governmental control of the editorial autonomy of the public service broadcaster. Concluding his visit to Japan at a press conference earlier today, UN Special Rapporteur on Freedom of Expression David Kaye observed that “The independence of the press is facing serious threats.”6 ARTICLE 19 urges the government of Shinzo Abe and all political forces, as well as the media and journalists themselves, to consider the Special Rapporteur’s conclusions as an opportunity to improve the protection and respect of freedom of the media. ARTICLE 19 urges the government to strongly commit to respecting the editorial independence of all media houses and the freedom of journalists. See The Asahi Shimbun, “Communications minister draws outrage over ‘threat’ to broadcasters”, 9 February 2016, http://www.asahi.com/ajw/articles/AJ201602090074.html; see also Tomohiro Osaki, “Sanae Takaichi warns that government can shut down broadcasters it feels are biased”, Japan Times, 9 Feb. 2016, http://www.japantimes.co.jp/news/2016/02/09/national/politics-diplomacy/minister-warns-that-government-can-shut-down-broadcasters-it-feels-are-biased/. “UN Rights Expert Sees Threats to Press Independence in Japan”, New York Times, 19 April 2016, http://www.nytimes.com/aponline/2016/04/19/world/asia/ap-as-japan-press-freedom.html?